What's the best acne treatment system available? We looked into the differences between the leading medical-grade acne treatment programs on the market today, MDacne's Customized Acne Treatment and two Proactiv lines, Proactiv MD, and Proactiv Plus. Looking for effective, medical-grade acne products available over-the-counter? Let's take a look at how these three systems compare! When was the classic Proactiv acne treatment kit developed? Before diving into the newer Proactiv treatments, let's take a look at the history behind their products. The Proactiv kit was first launched its kit in the late ’80s (nearly three decades ago!) It was one of the first complete acne treatment kits available over-the-counter. Despite being a one-size-fits-all, this simple 3-step system has helped thousands manage their acne breakouts and get clear skin. In recent years, both Proactiv and other skincare companies have developed new treatments and technologies to help provide even more effective acne management. ProactivMD uses low concentration adapalene 0.1% as the main active ingredient replacing the sulfur/benzoyl peroxide combination that is used in the standard Proactiv kit. The ProactivMD kit also includes a non-medicated cleanser and a moisturizer containing with SPF 30, which is necessary for sun protection as the active ingredient, adapalene gel increases the skin's sensitivity to the sun. The Proactiv company warns users that ProactivMD may contain hydrochloric acid to adjust PH. 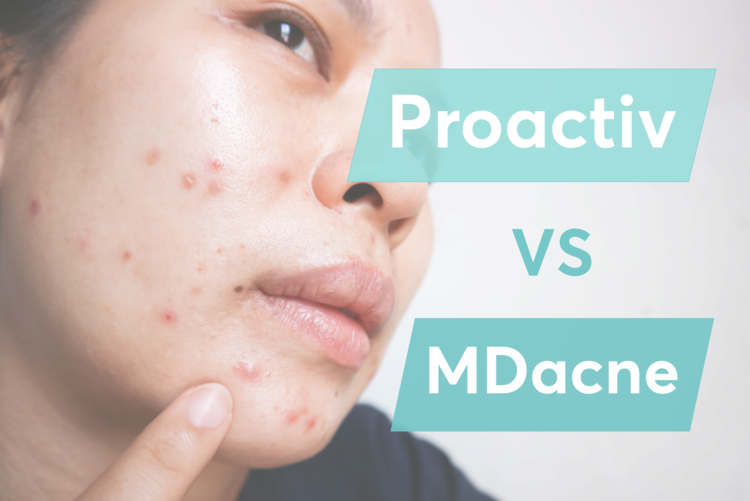 How is MDacne different than ProactivMD and Proactiv Plus? There are several differences between MDacne and the Proactiv lines. The most significant difference is that MDacne acne kits are personalized to each user as opposed to the one-size-fits-all solution. This is done through the MDacne app, which scans and analyzes a user's skin to determine their skin type, acne severity, and other measurements to determine which anti-acne medications their skin needs. MDacne uses micronized forms of benzoyl peroxide and/or salicylic acid (depending on the user), which penetrate the skin more easily, helping to clear acne more effectively with less irritation than traditional formulations with larger particles. They also include plant-based, natural ingredients (such as witch hazel and vitamin C) to help reduce skin redness, enhance the skin's natural healing process, and fade post-acne dark spots. This customization allows MDacne to treat a wide range of people with acne-prone skin to from those with sensitive skin to stubborn, severe acne with fewer side effects. Another key difference between MDacne and Proactiv are the services in the MDacne app. 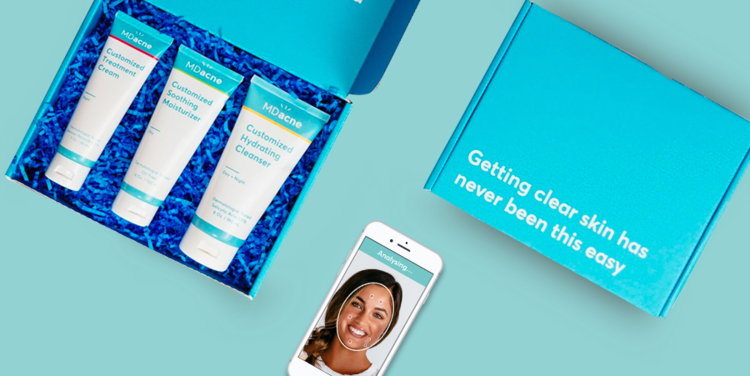 MDacne users have access to unlimited chat support with a dermatologist to guide them through their treatment and free fine-tuning of their ingredients as needed based on how their skin progresses for best results until clear skin is achieved. While all three of these treatments kits can be valuable to acne sufferers, MDacne's customized treatments are more likely to produce results with less irritation when compared to ProactivMD and Proactiv Plus. The personalization of the MDacne products using a combination of unique, cutting-edge medical formulations working synergistically with plant-based ingredients allows MDacne to provide superior acne treatment. Plus, with ongoing chat support from a board-certified dermatologist and free fine-tuning of the products, it' a service comparable if not superior to in-office dermatologist visits. To find the right acne treatments for your unique skin, take the free MDacne skin assessment by clicking here.